Welcome to my new Flowers on the First series! At the beginning of every month I will feature flower arrangements that are in season. I am so excited about the tons of options I get to choose from for this project! Every winter I love to force paper whites. Unlike other bulbs, paper whites don't need a chilling period so forcing them is practically fool proof. 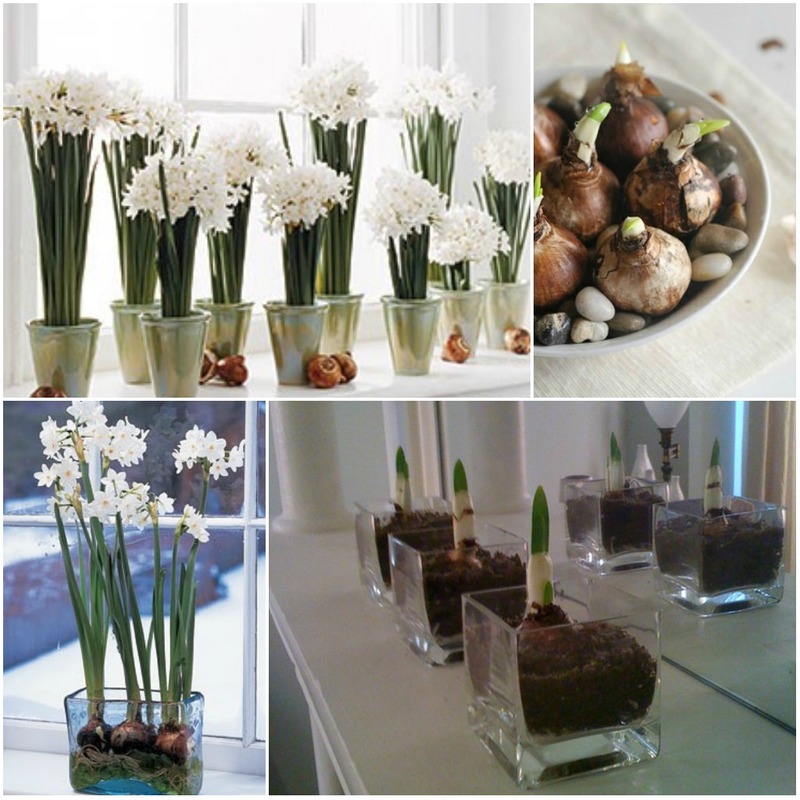 It's as easy as putting the bulbs in stones or soil with water and waiting about 3 weeks for instant gratification. 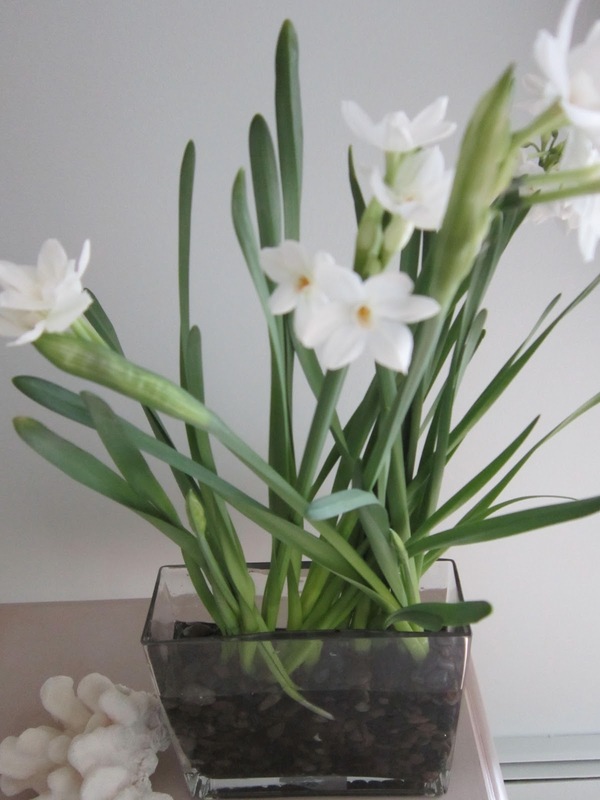 (One helpful hint: Although very easy to care for, paper whites are known for flopping over. You can stake them with a bit of string, or you can use my trick. Put a splash of vodka in the water. It stunts the height but has no impact on perfect blooms.) 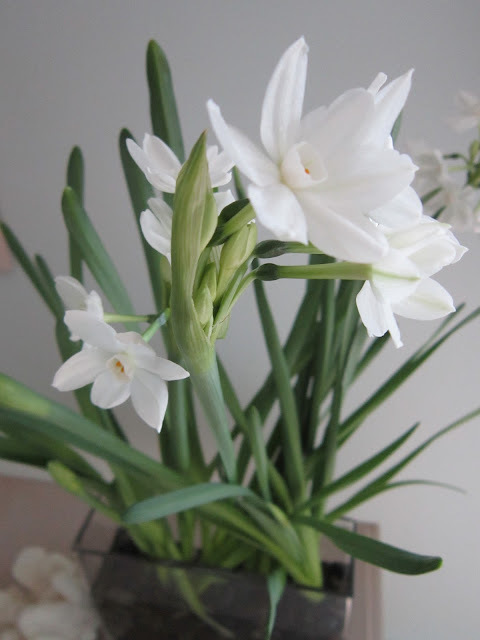 They are very fragrant and gives those of us in New England a little taste of spring. This year, I cheated. 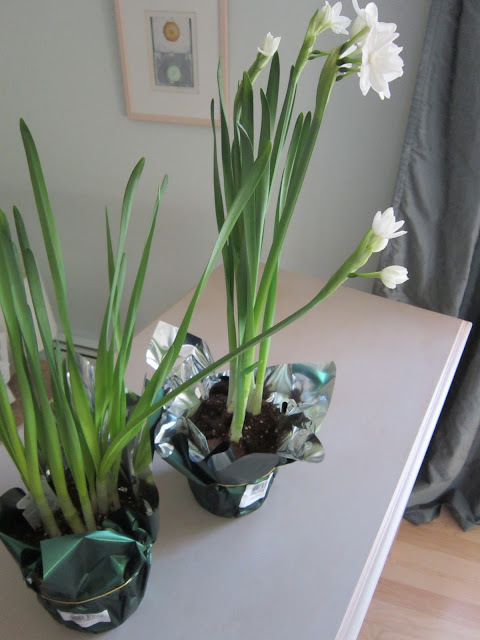 I stumbled across paper whites at Trader Joe's, already starting to bloom. Since I hadn't started forcing bulbs yet, I couldn't resist buying these for a jump start. 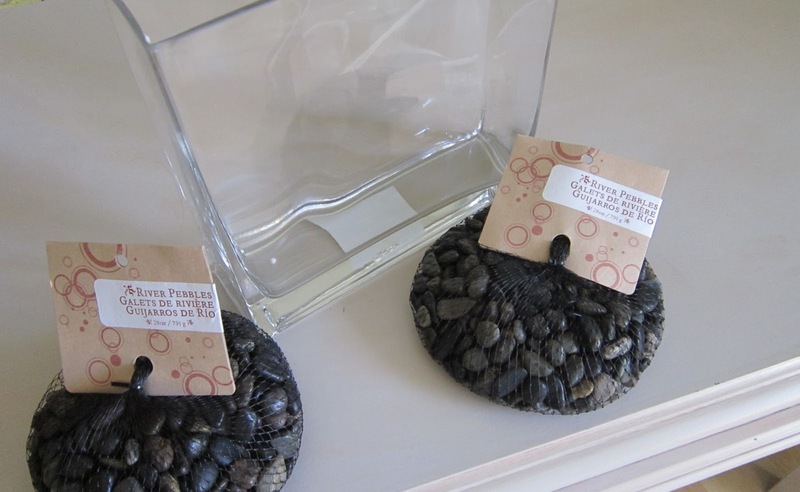 I picked up some stones at Michael's and found a glass container in my storage closet. My house smells like springtime, even if it is months away.